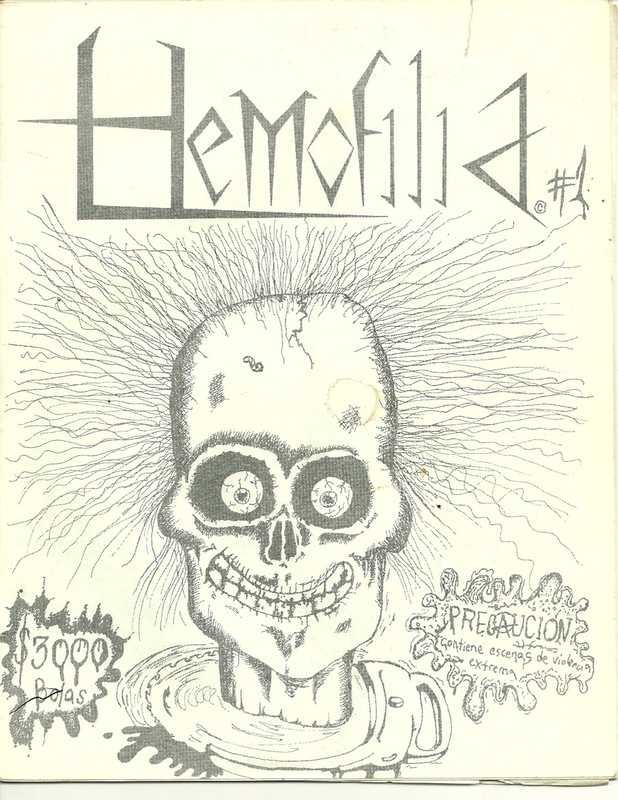 When I was a teenager I was part of the collective that started Hemofilia, a horror comics fanzine, helping kick-start the self-published comics scene in Mexico in the very early 90s. It is often said Hemofilia was the first Mexican comics fanzine but I am not certain of that. We published 5 issues of 500 copies each which completely sold out. Very few are known to survive today. The first issue came bagged in a hand-printed limited and numbered edition paper “sick bag”. Interviewed by Otoliths magazine in April 2010, I talked about my experience editing Hemofilia. You can find me talking about Mexican comics towards the end of this Canadian Broadcasting Company documentary by Greg Gransden (2001?). Over the years I have organised various comics and transmedia symposia and workshops and have presented in several international conferences, unconferences and conventions. In mid-2010 I initiated and later co-founded and The Comics Grid. Journal of Comics Scholarship, which I have coordinated since december 2010. Seeking to experiment with new ways of rapid publication, during the first three months of 2012 I edited a compilation of some of the articles we published during The Comics Grid‘s first year. We called it Year One and released it in April 2012. It can be downloaded for free here. I am also a contributor of Graphixia. A Conversation About Comics. I was a cultural consultant and translator of Jessica Abel’s award-winning graphic novel La Perdida (2001-2006). I also did the Spanish translation for the Spanish edition (Astiberri, 2009). I have sometimes experimented with the comics form myself. I can’t really draw or I don’t like my attempts so I have employed other methods. I have experimented with visual poetry (or vis-po). Back in 2007-2008 I had a collaborative project with other poets and photographers, working on hay(na)ku in photo-comic form. The Strip Hay(na)ku Project blog remains here. One of my own solo visual poems, “Lighting (after Elizabeth Bishop”, using a comics panel layout, was published by the West Wind Review (Southern Oregon University) in their 2010 issue (page 155). You can read some of my attempts at comics reusing ready-made images in my Issu library. Of these humble distractions, where I seek to blend the essay form with photo-comics (also known in English as fumetti, though I don’t particularly approve of that usage! ), I am particularly fond of The New & Amazing Adventures of St Jerome!. Two recentish projects (just for fun) were The Brief Lives of John Aubrey & Other Clever British Gentlemen (and Ladies too!) and the Mutatis Mutandis series. I am also a member of the editorial board of Studies in Comics and Graphic Medicine.